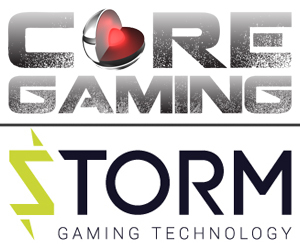 Gambling software house Storm Games and solutions provider Core Gaming have signed a long-term software supply contract. The deal will give Storm access to Core’s online software portfolio, enabling it to reproduce the same content for land-based markets. Titles such as Colossus Fracpot, Reel Force Five, Evel Knievel and the latest Fracpot Warrior game will all be made available in 2016. “Storm, Core and retailers are keen for an omni-channel approach with successful gaming content. This agreement means that Core’s content will now be made available in all sectors of land-based gaming,” said Richard Sheldon, managing director of Storm Games. The first of the new software will be on display at ICE Totally Gaming 2016 on stand N1-243.